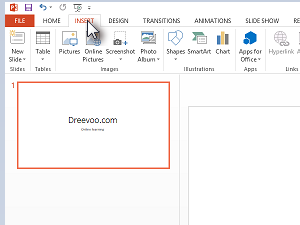 Create new or open existing presentation. 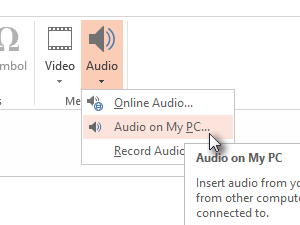 Select any audio file and click Insert. 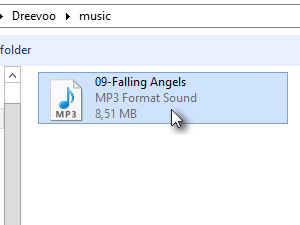 The sound clip will appear as an icon, which you can also listen if you want. ...and click Play in Background above. 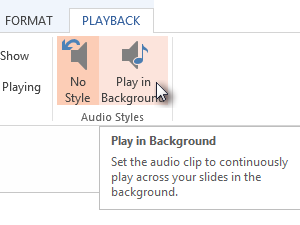 Audio tab must be selected. That means that the volume of audio clip will escalate. 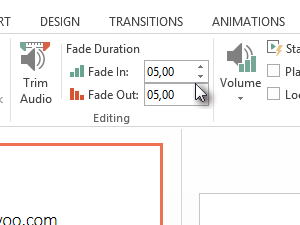 For Fade In and Fade Out I have set 5 seconds. 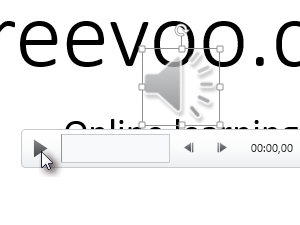 Press F5 to see your presentation with audio clip.